Brother Keeble has just been introduced by Athens Clay Pullias, President of the College. 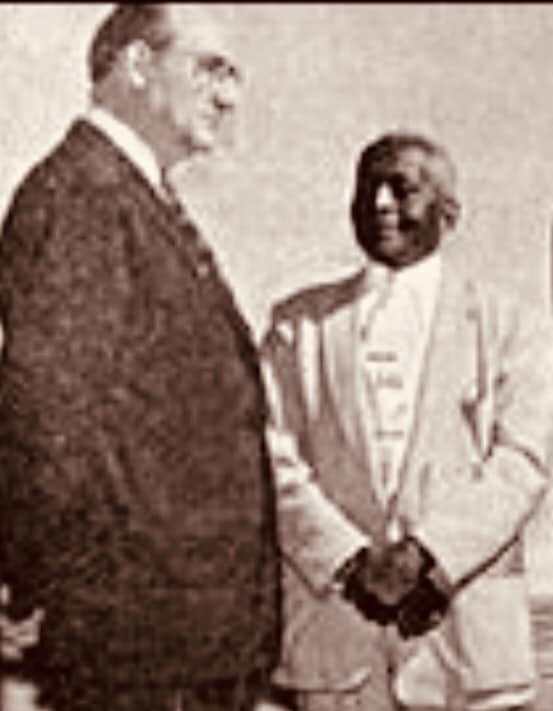 Pullias told the story of meeting the renowned African-American scientist George Washington Carver in Tuskegee Alabama. He compares Brother Keeble to this iconic scientist that had done so much for the people of the South through agricultural discoveries and innovations. Then Pullias says that Marshall Keeble has done “infinitely more on higher ground”. He lauds the minister for preaching 50 years, personally baptizing more than 25,000, starting 200 congregations, and being President of Nashville Bible College which was training 150 Gospel preachers. Regretfully, in 1948 Lipscomb, churches, schools, restaurants, pools and in fact most cultural entities were segregated. Jim Crow laws and Jim Crow attitudes made Marshall Keeble a novelty at Lipscomb and a novelty (or sometimes unwelcome) in the white churches. Marshall Keeble was right, wasn’t he? Beautiful epitaphs and loquacious tributes flow easily from our tongues, but most often it is when their subject is deceased.